Books, books and more books as well as a few summer wardrobe selections I think you might just fall in love with . . . 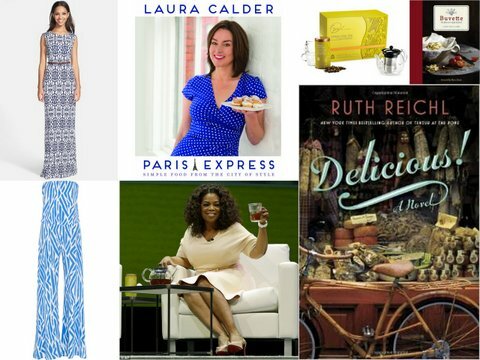 Recommended by Oprah’s Book Club, restaurant critic Ruth Reichl’s shares in her debut novel the story of Billie Breslin, who comes to New York from her home in California, taking a job at Delicious!, the city’s most iconic food magazine. When the magazine begins to fold due to the changing economy, she stays on to man the customer hotline. While doing so, she discovers a letter from renowned chef James Beard and an intriguing journey begins. A book to enjoy at your leisure most definitely. 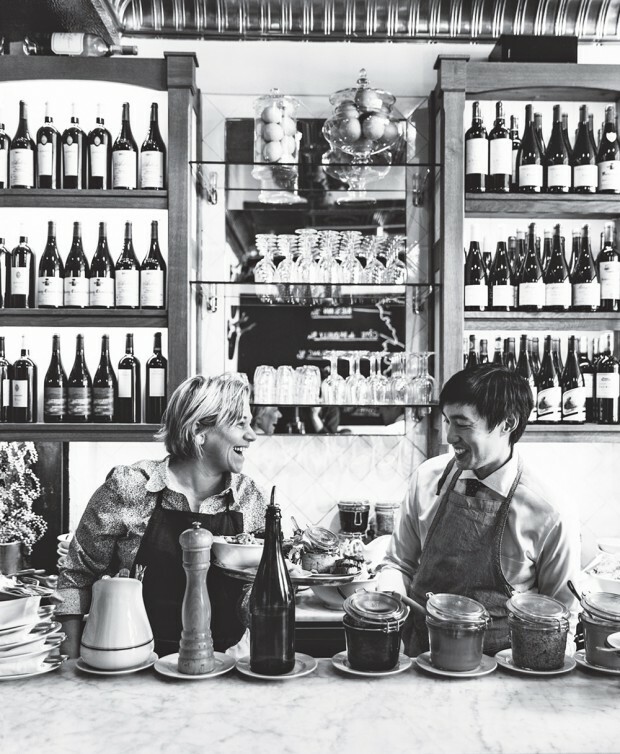 Owner of New York City restaurant Buvette, which opened in 2011 in Greenwich Village, and now with a location in Paris, chef Jody Williams shares with readers how to create scrumptious, polished French and Italian bistro inspired meals. Paired with the recipes, she offers suggestions on how to create a simple, yet inviting food presentation for guests as well. Click here to see a few recipes and a peek into the Paris locale, and see Jody in the restaurant below. An opportunity to create delicious French meals in a quick few minutes is precisely what Canadian chef Laura Calder offers in her new cookbook – Paris Express. With 120 recipes and enticing foodography filling the book, this is a cookbook I want on in my kitchen. Having enjoyed many episodes of her cooking shows and even shared one of her desserts here on the blog – a blueberry tart (the crust is mouth-watering), I can say from first-hand experience, she knows how to create delicious food you are sure to enjoy. How much fun would this jumpsuit be to wear during the hot summer that is just around the corner? At this great price, why not? And with an inseam that is 33 1/2, us tall ladies will be able to indulge as well. And in case you would prefer not to go strapless, Tart offers this chic maxi as well. There are endless designs and colors (solids too). Click here to see more to create a comfortable, yet stylish summer wardrobe. Recently, Oprah teamed up with Starbucks to design her very own tea of which part of each sale will support her Oprah Winfrey Leadership Academy Foundation. A professed lover of tea and one who includes it in her daily morning ritual, she has excitedly partnered with CEO Howard Schultz to create a product she loves that will also benefit her beloved charities and school. So what exactly is in this tea, priced at $14.98? A warm chai experience with cinnamon, cardamon, ginger and cloves blended with black tea and rooibos. Click here to learn more about where exactly the donated money goes.